After long long time..Now I come up with amazing new things in front of U all...I know this product from friend's sister who looks amazing on her 30 with her soft and young skin.And She is used this around 2 years something in long term used and she got amazing result. I dare to share this info to you,because after I used this, My mom, 2 lil sisters and 1 cousin gain the same experience with me which is they feel their skin getting better and better without foundation or whatever thinggy. 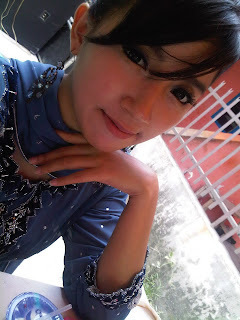 Gonna whisper to you : Being honest, I'm tired to try bb cream to make my face look so much much better and now I come up with the beauty treatment from a beauty clinic that I guess its worth to buy and didn't cause you become such a big spender plus give you such a beautiful natural skin. My budget for this treatment around Rp 500.000 and u already have your facial (with whitening serum and acne serum) once/2months. The product will be finish in 2 months used. 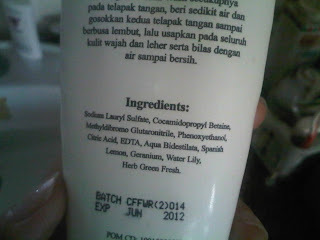 As U can see the ingredients here is a natural one.. I love the gel texture..Its transparent color and the smell is so good. You can feel the different after you wash the face from the very 1st time. It make your skin look bright and feel clean. I bet U gonna love it. 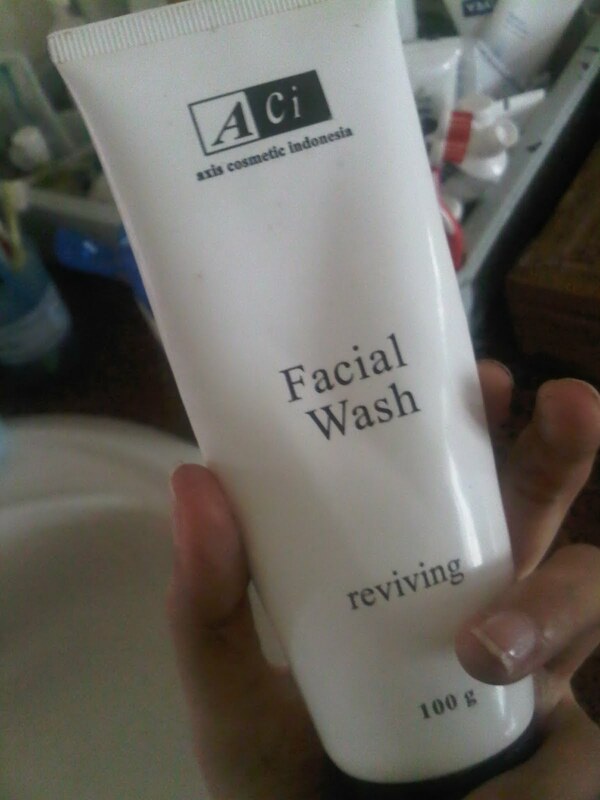 Experience told me: One of my sister ONLY use the cleanser, and she can feel the difference with her skin. Thats why she decided to continue another skin product from this production line. So I start to pour the toner on my skin as basic, In the morning I apply the moisturizer cream which has no label (sorry I lose the label) and after that I applied my sunblock and only small amount needed. 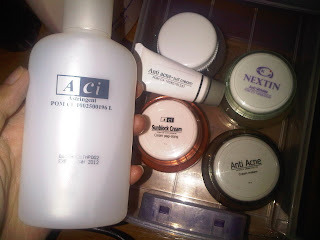 On night I had my toner then continue with anti wrinkle then the anti acne. I know I know..U gonna look so confused with those all creams..But U gonna feel your skin so smooth like a baby. At least thats what I feel on my skin face. I get the amazing result after 3 weeks used. U may ask whats the closest address to your area to consult with them. They had open branch in several area in Jakarta. Ah well..Next time I gonna talk bout my brace..